Wendy Fennell is the owner of Bohemian Bungalow Design, a residential design studio located in Charlotte’s historic South End district. Wendy’s love for design began at a young age and was fostered by her mother, an artist who was totally ahead of her time. She was jack of all trades and could paint, sew and was forever changing things in their home to feed her creativity. Wendy is much the same way and her style is forever evolving. Wendy creates inspired and eclectic spaces by combining color, pattern and texture. She has a keen eye for layering in new furnishings along with vintage and owned items to create beautifully curated and collected spaces that are unique to each client. 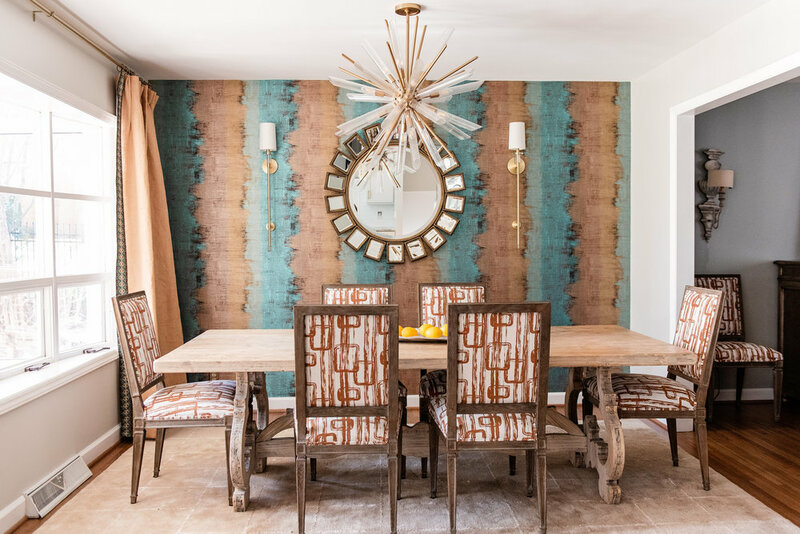 Bohemian Bungalow Design was recently named BEST OF HOUZZ 2019 and Wendy’s design work will be featured in a 2019 Spring National Ad Campaign ABBYSON HOME.